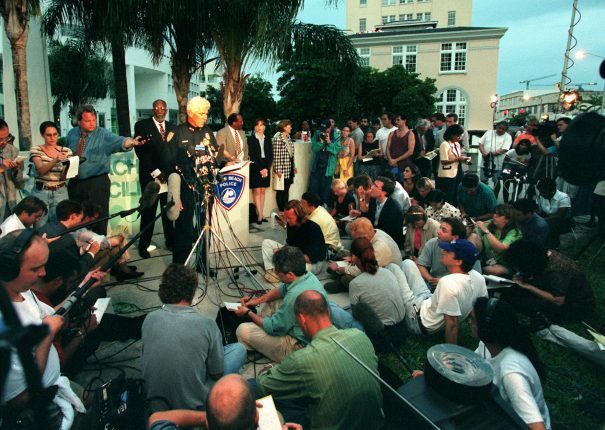 7/24/1997, Marice Cohn Band/Miami Herald: The press crowd the sidewalk across from the houseboat where the body of Andrew Cunanan was found at 52th St. & Collins. 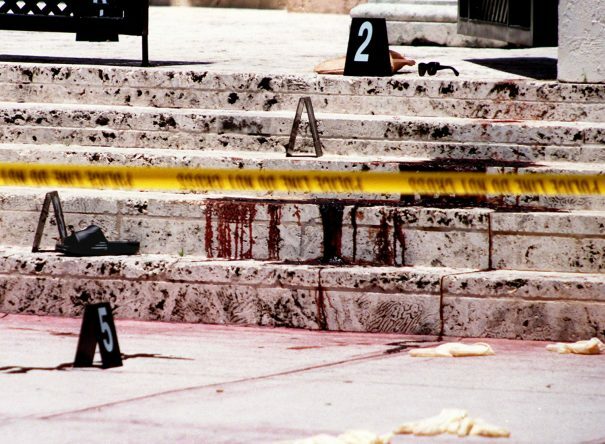 7/15/1997, Patrick Farrell/Miami Herald: Blood, shoe, and sunglasses at the scene on the steps of Gianni Versace's South Beach mansion where he was killed. 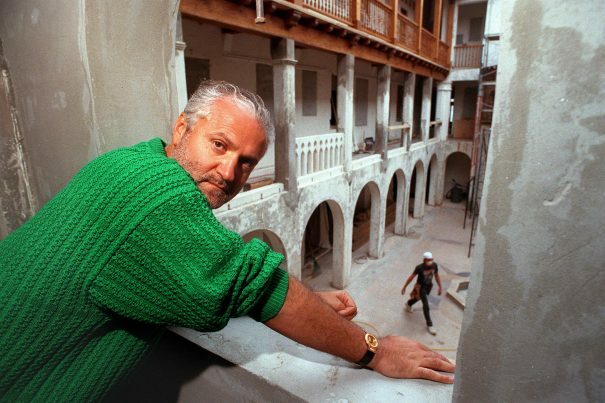 3/16/1993, Marice Cohn Band/Miami Herald: Gianni Versace looking out from a second story window overlooking his patio. during the renovation works of his mansion. 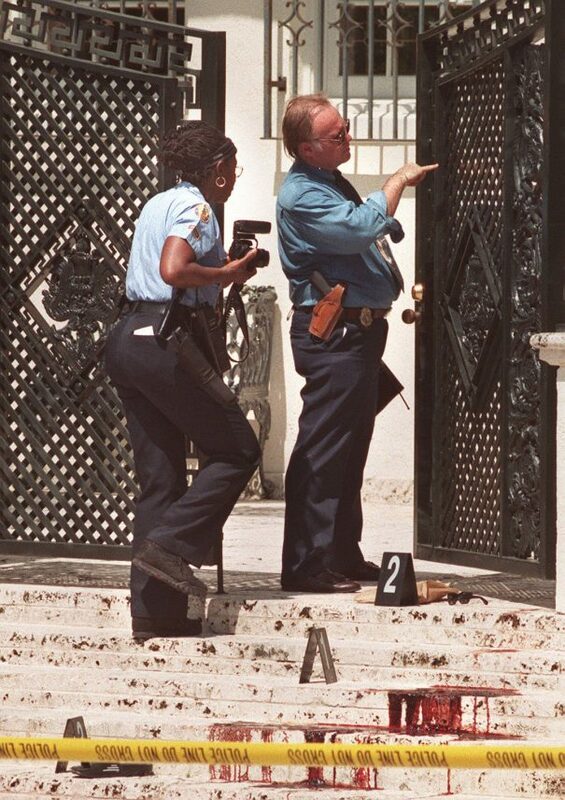 7/15/97 -- Miami Herald Staff Photo by Chuck Fadely -- Police investigate the bloody steps and gate in front of Gianni Versace's house on Ocean Drive on Miami Beach, where the designer was gunned down by a suspected serial killer. 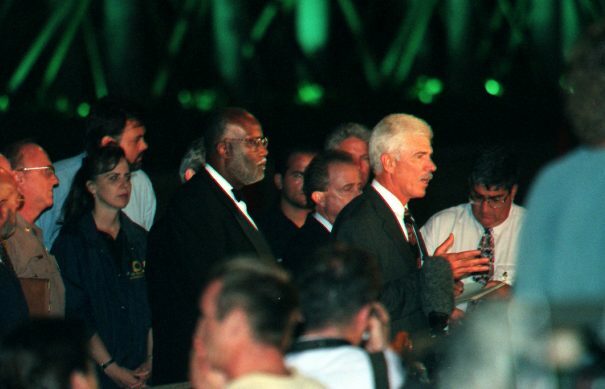 The man on the right is the late lead detective on the Versace murder, Paul Scrimshaw. 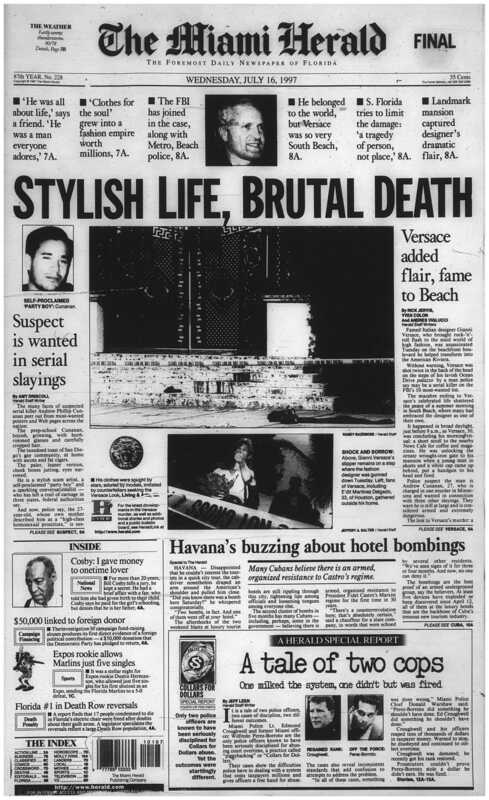 7/15/1997, CM Guerrero/Miami Herald: Miami Beach homicide lab technicians bag "evidence" of the murderer of Gianni versace at the doorsteps of his home. 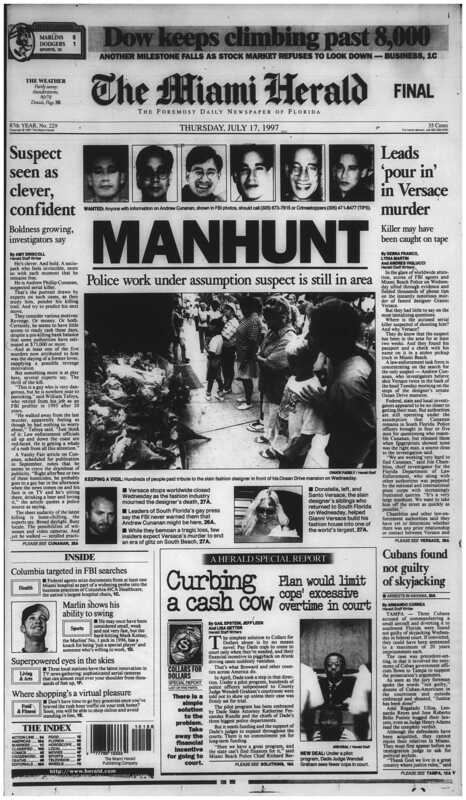 7/27/1997: Miami Herald front page. 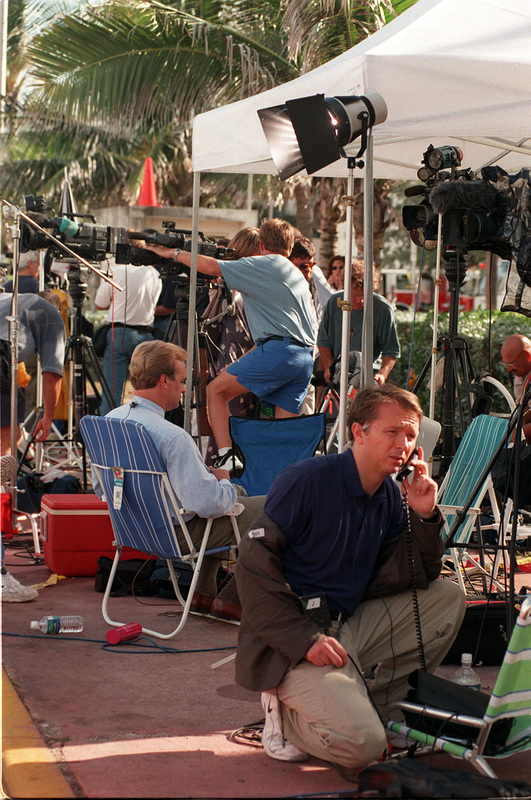 7/15/1997, Jon Kral/Miami Herald: Media from all over the world packed to hear a press conference by Miami Beach Ploice Chief Richard Barreto and the FBI, about 8:00 PM. At this conference the FBI displayed photo of Andrew Phillip Cunanan a suspect in the Versace shooting. 7/23/1997, Jon Kral/Miami Herald: SWAT members, with arms pointed forward, cautiously approach the area of the boathouse where gunshots were heard, at 5250 Collins Avenue, Miami Beach. 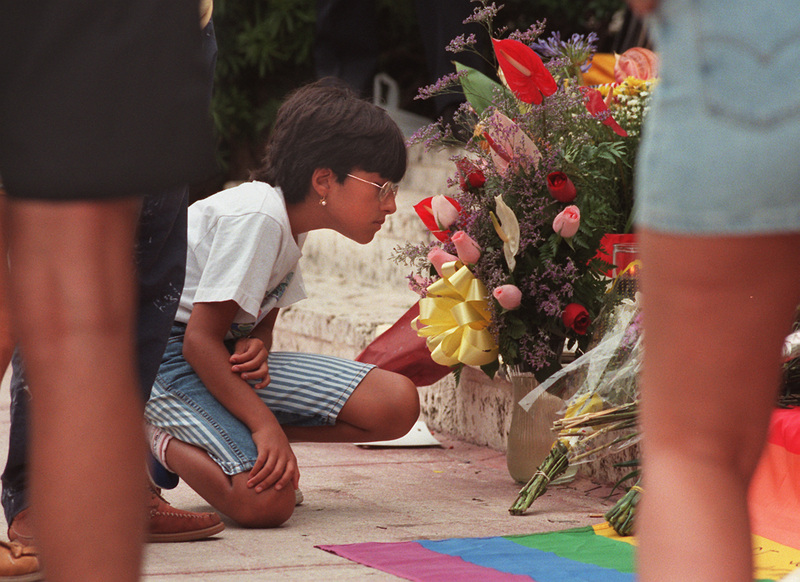 7/16/97---Photo by: Chuck Fadely/Herald Staff-- Detail of the flowers, cards etc. 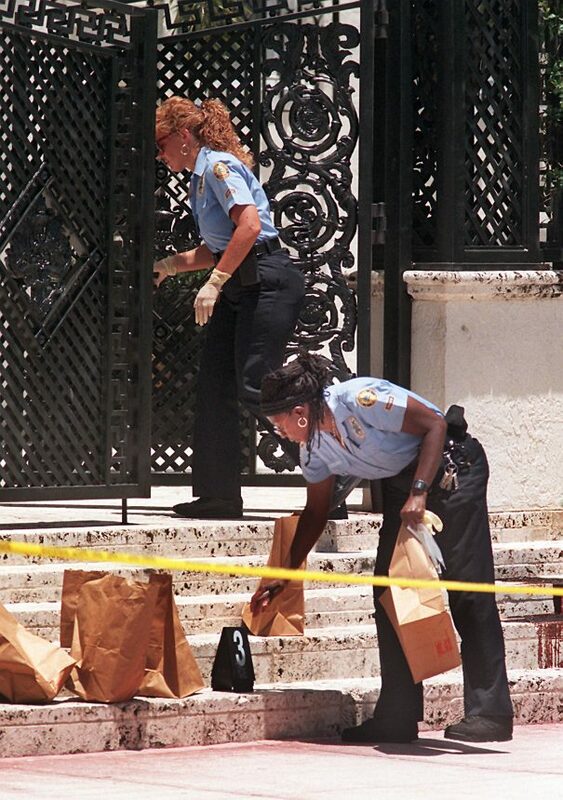 that people left on the steps of Gianni Versace's mansion. 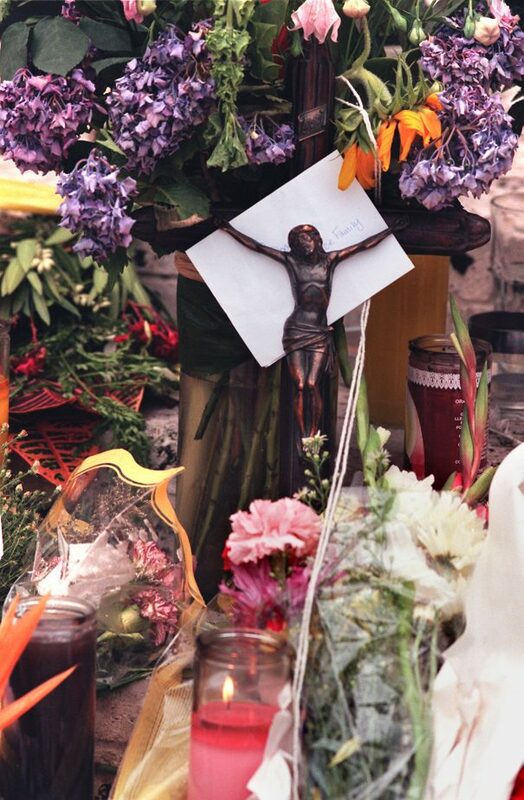 Shown is a 90-year-old Spanish crucifix left by Miami Beach resident Hector Balmori. 7/16/1997: Miami Herald front page. 7/18/1997 Al Diaz/Miami Herald : Guests look out the window of The Normandy Plaza Hotel at 6979 Collins Ave. in Miami Beach. 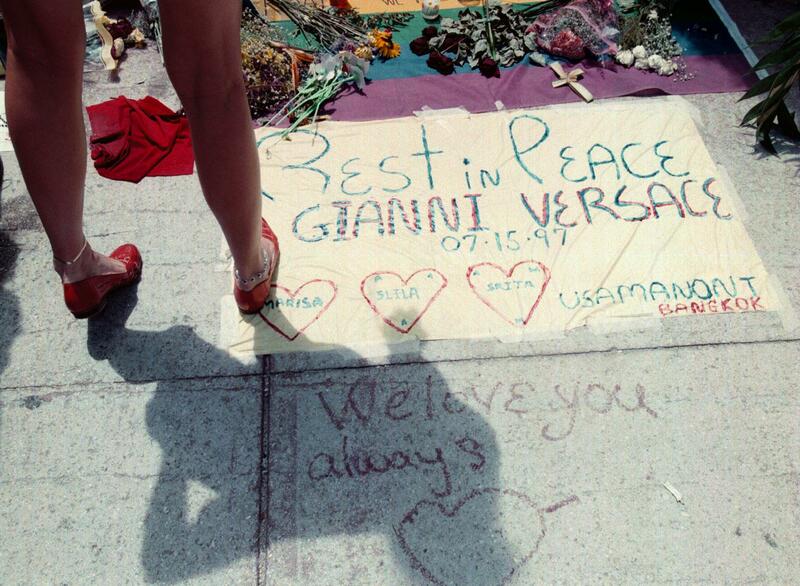 A suspect in the Gianni Versace murder case stayed at the hotel. 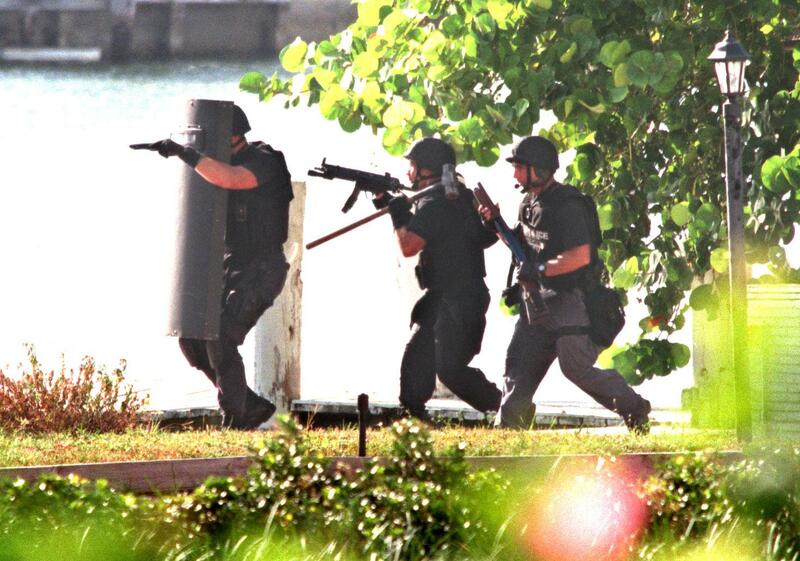 Police collected evidence from the hotel. 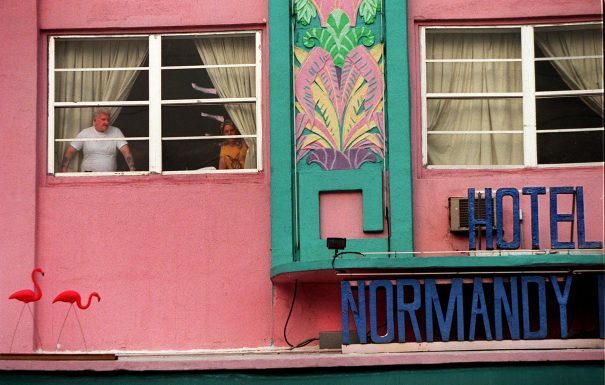 S. Fla Out; No Sales; No Mags. 7/16/97 -- Miami Herald Staff Photo by Chuck Fadely -- Bystanders look at the flowers and memorials set up on the steps where Gianni Versace was slain in front of his Ocean Drive mansion. Thousands of people went to the scene Wednesday to pay their respects. 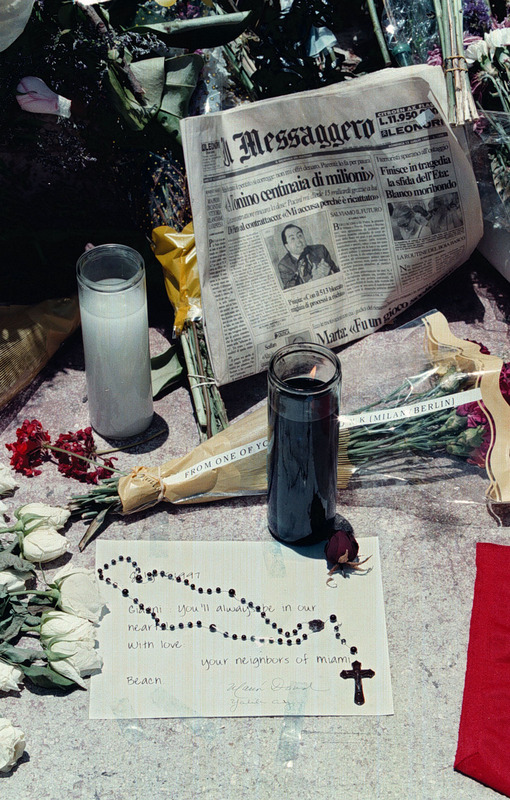 7/1997, Hector Gabino/El Nuevo Herald: A detail of roses and a rosary in memory of Gianni Versace. 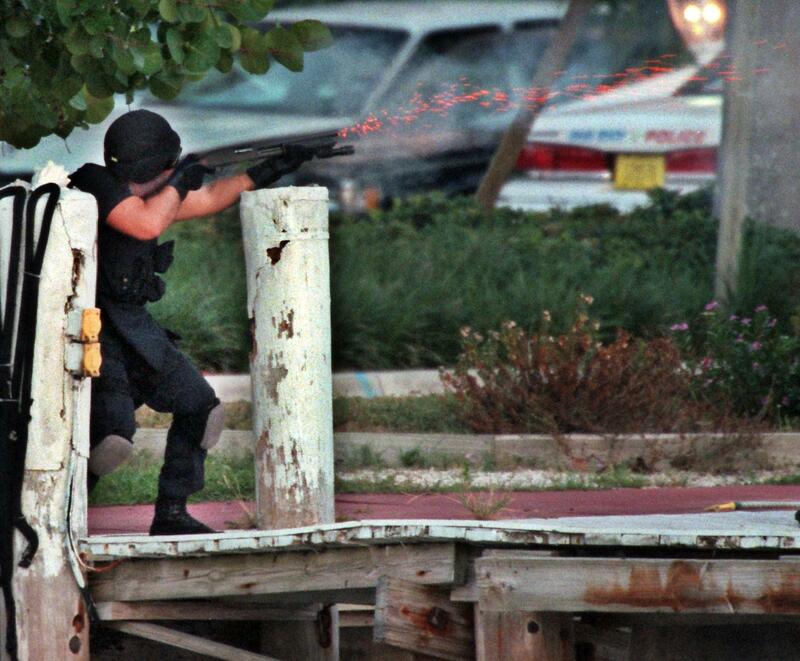 This is in front of his house in Ocean Dr.
7/23/1997, Al Diaz/Miami Herald: A SWAT team officer fires tear gas into the house boat that murder suspect Andrew Cunanan was later found dead. 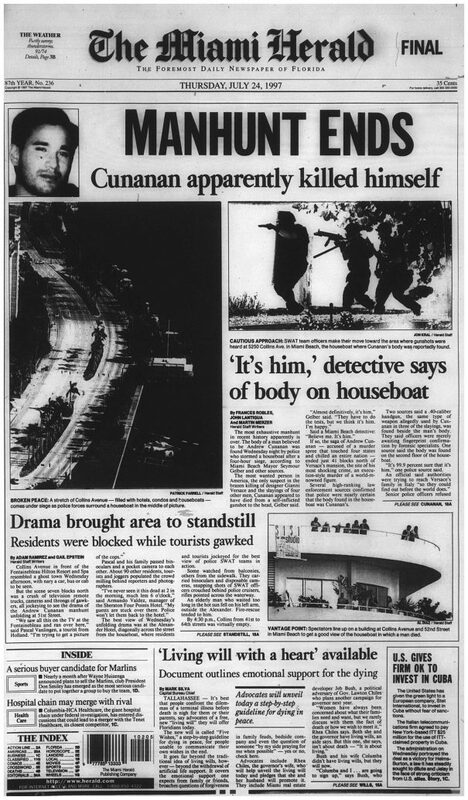 1997, Miami Herald: Medical Examiner employees remove body of Andrew Cunanan from the houseboat. 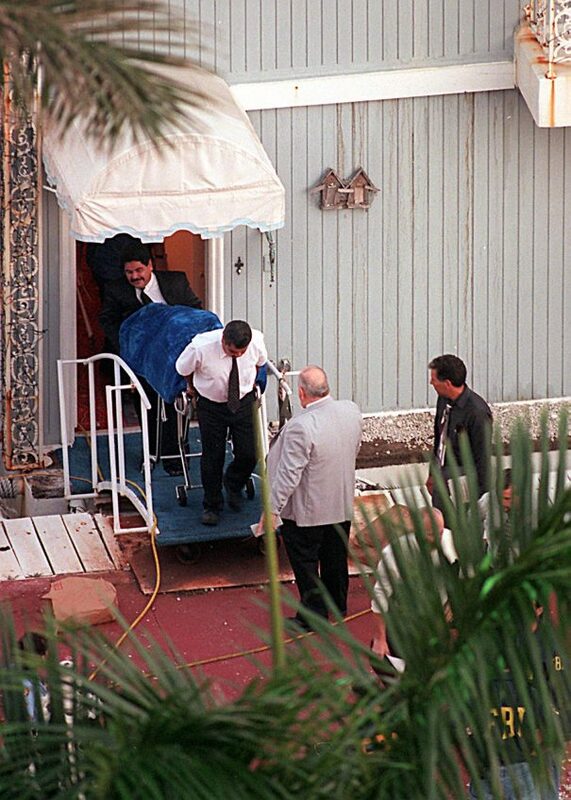 7/24/97, Jon Kral/Miami Herald; FBI Head in Miami Paul Phillip and Miami Beach Police Chief Richard Barreto Tell the Media at about 5:30 AM that the body in the houseboat was positively identified as Andrew Cunanan's.